The year 2017 proved to be a quite remarkable one as far as revenues generated from apps is concerned, as the net financial figures climbed by an impressive 35% on a yearly basis in 2017. As per a report compiled by Sensor Tower, users spent approximately $58.6 billion on apps in 2017 across the Android and iOS platform, but a major share of that eye-watering amount fell on Apple’s side of the app ecosystem. 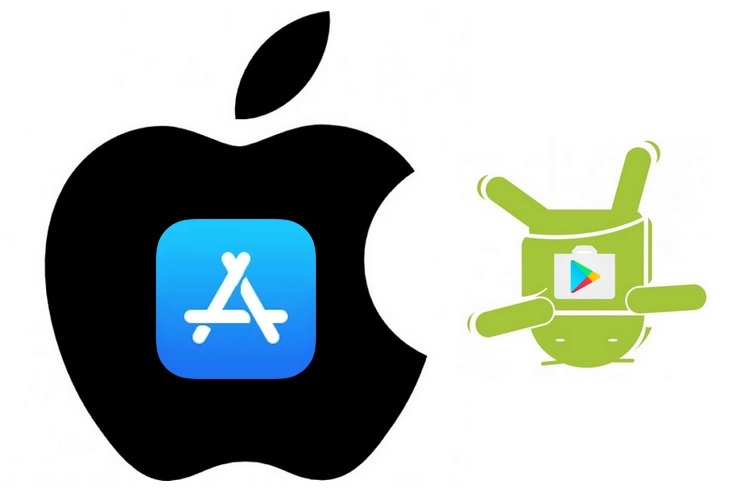 It is a well-known fact that the number of Android users dwarf iOS subscribers by a very hefty margin, but the revenues generated from the rival OS’s app directories is an altogether different story. You might be wondering how wide the revenue gap actually is? Well, the revenue generated by the App Store in 2017 is nearly double that of the Play Store. According to Sensor Tower’s analysis, users hooked to the iOS platform spent an estimated $38.5 billion on apps in 2017, a figure that includes the up-front cost of paid apps, in-app purchases and subscriptions. On the other hand, Android users spent around $20.1 billion on apps downloaded from the Play Store. But it’s not just the gross financial figures where the App Store has left the Play Store to bite the dust, as the net revenue growth rate is another domain where the App Store beat the Play Store, albeit by a smaller margin. On a year-on-year basis, the revenues generated by Apple’s app directory grew by 34.7%, which is barely higher than the 34.2% gross revenue increment recorded by the Play Store on an annual basis. Gaming was yet another area where the App Store’s financial game proved to be much stronger than the Play Store’s, as iOS games generated approximately $30 billion in revenues, while Android games could only amass $18 billion in 2017. However, when it comes to net app downloads, the numbers are strictly in Google’s favor as the Play Store accounted for 64 billion app downloads in 2017, while the App Store lagged much farther behind with just 28 billion downloads. But what can one say, Apple emerged as the winner in the areas which appear to be more significant, and that’s where the proverbial mic should be dropped.